There’s a reason Panorama Mountain Resort was recently declared North America’s Resort of the Year. Its location on the famous ‘Powder Highway’, only a few hours from Calgary, means easy access to some of BC’s best skiing and snowboarding. 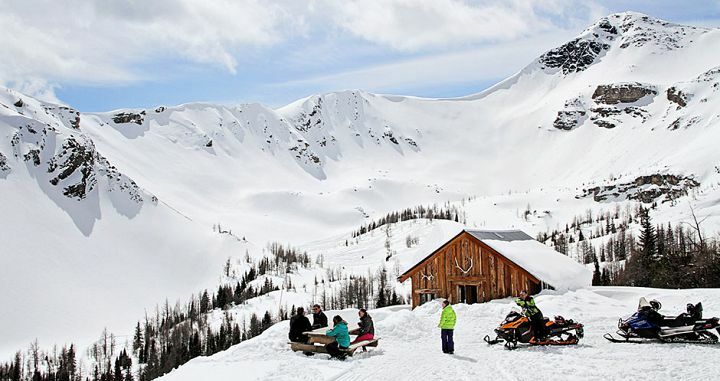 One of Canada’s best-kept secrets, Panorama has emerged in recent years as an impressive ski holiday destination for both individuals and families. Panorama truly has everything you need – terrain for the whole family, world-class heli-skiing, snowmobiling adventures, memorable après, and slopeside accommodation to suit any budget. Take advantage of uncrowded slopes, gladed tree skiing, high-quality snow, and modern resort facilities, all located within a compact village setting. Add Panorama to your Canadian snow adventure and you won’t be disappointed! The newly extended backcountry-style terrain AND catskiing! Fondue après at the Summit Hut. Watch the sun set with a wine in hand, then enjoy a guided decent back to the village. Compact and easily accessible resort village, with shops, restaurants, bars, and facilities within walking distance of your accommodation. Mint Juleps and perfectly prepared local produce (matching wine of course) at elevenFIFTY. Panorama Hot Springs, with a collection of hot tubs and sauna, and incredible views to match. 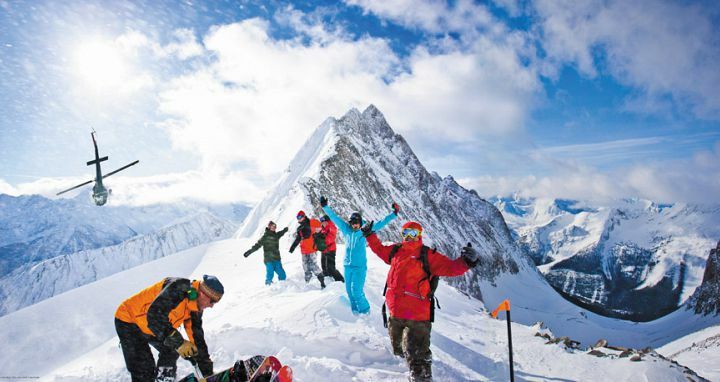 Join a free resort guiding session with a Mountain Friend (daily at 10am and 1:30pm). Perfect for those new to Panorama, these friendly locals are keen to show you all their favourite spots and where you can find the best snow. Take a day trip to a nearby resort on the Powder Highway. Explore black diamond bowls and expert terrain at Kicking Horse, with weekly tours available every Wednesday. Book early. Panorama has some of the best Early Bird Deals each season, with up to 50% off! Stay in the Upper Village. 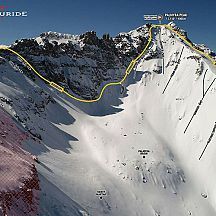 With almost all accommodation slopeside, it’s barely minutes to the chairlift from your front door. For the ultimate in tree skiing, head to the double black rated Extreme Dream Zone (not for the faint hearted). Take the kids on a fun cartoon adventure through the Canadian Discovery Trail. Panorama has it all. Whilst it may seem like a pokey ski resort from the outside, Panorama has made major developments over recent years, turning the resort into one of BC’s must-ski destinations. The terrain alone is worth the trek from Calgary, with over 3000 acres of perfectly groomed runs, catering to all ability levels (and desires). They also seem to interconnect perfectly, allowing easy navigation of the resort from summit to village, and with an efficient lift operation, no traversing is required. The kids love the Canadian Discovery trails and rolling beginner runs, while avid tree-skiers can’t get enough of the double blacks out in Tayton Bowl. A short hike up from the summit is rewarded with endless powder lines (that all funnel back to the village area), meaning you’ll be making resort laps all day long. Soaring mountain peaks and forested valleys surrounds Panorama, providing breathtaking views, and plenty of photo opportunities. The village area itself has everything you need within a stones throw of the slopes, meaning your barely minutes walk from your morning coffee, rental shop, first lifts, and satisfying your on-mountain lunch cravings. 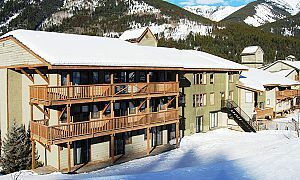 The condos and townhouses wrap around the base of the resort providing easy access to the chairlift, alongside matching views of the surrounding valley from your bedroom window. What makes Panorama truly special is its range of off-mountain activities that keep the excitement going long into the evening. Keep the kids entertained with a glide around the ice-skating rink, or enjoy a hearty family dinner at one of the many restaurants in the Upper and Lower villages. 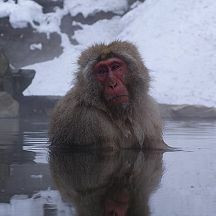 A well-earned soak in the hot springs, followed by a sunset après session, equals a perfect end to a day on the slopes. Can we go back to Panorama yet? Panorama boasts almost 3000 acres of skiable terrain, with over 75% of all runs suitable for beginners or intermediates. Wide cruisy groomers interconnect seamlessly throughout the resort, making it super easy to navigate and find your favourite run (try a leg burning 6.5km long run from summit to village!). With the terrain situated all below tree line, there are ample opportunities for tree skiing, including the double black diamond ‘Extreme Dream Zone’. Take a short hike up to Tayton Bowl – a favourite for advanced skiers and snowboards, and enjoy of backcountry-like conditions within the safety of the resort area. Former heli-ski terrain, these chutes are playful and provide great vertical to challenge your skills. A recent terrain expansion of this area, aptly named ‘Where The Wild Things Are’, provides even more in-boundary patrolled options to explore this season. Panorama receives low annual snowfall compared to other resorts in BC, but the light dry snow sticks around with the colder conditions, and snowmaking is consistent all the way up to the summit. It’s surprising Panorama has remained under the radar over the years, although, the bonus being visitors enjoy generally uncrowded slopes, with no competition for fresh tracks. 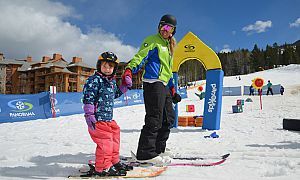 Being a compact and uncrowded resort, Panorama is perfect for families. It is a bit of a hike to get to the resort from Calgary, with a 3.5 hour transfer from the airport, however, once you arrive, everything you will need for your perfect ski holiday is all within walking distance. Most of the condo accommodation best suited to families is located at the base of the resort, right alongside the ski rentals, lessons, cafes, and restaurants - basically, all in the one convenient location. The ski school is well organised, with great programs tailored to each age and ablity level. 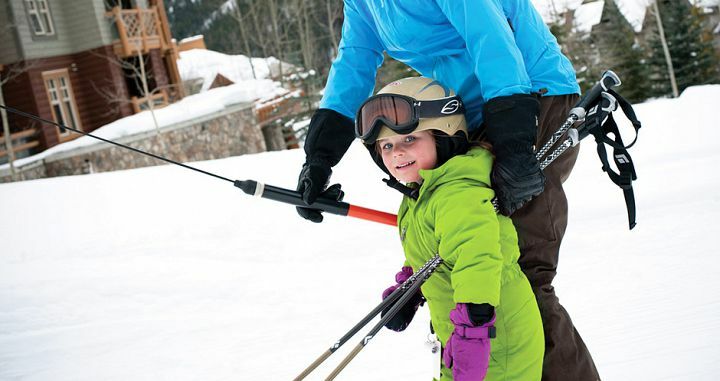 Snowbirds is one of the most popular options for beginners - a private lesson designed exclusively for 3-5 year olds to explore the resort area under the guidance of a qualified instructor. For first timers, the Discovery Programs are best value, providing a full-day group lesson, lift ticket, rentals, and lunch, and are open to kids aged 6-15 years. One of the best parts of Panorama is their designated beginner area, The Discovery Zone, which is perfect for those starting out or wanted to ski easier terrain. You can purchase lift tickets just for this area at a reduced price, making it even better value for families. Other than skiing, there are plenty of activities to keep the kids entertained. An afternoon spent ice-skating is bound to bring plenty of laughs, or head to the Panorama hot pools for waterslide and splash-pool fun. From basic lodge-style rooms, to luxury ski-in/out condos, you’re spoilt for choice at Panorama, with accommodation to suit every need and budget. Stay in the Upper Village in exceptional slopeside condos and townhomes (all fully self-contained), close to resort facilities, hot pools, and restaurants, or base yourself in the Lower Village, with ski access to the mountain and only a short gondola ride to the Upper Village. 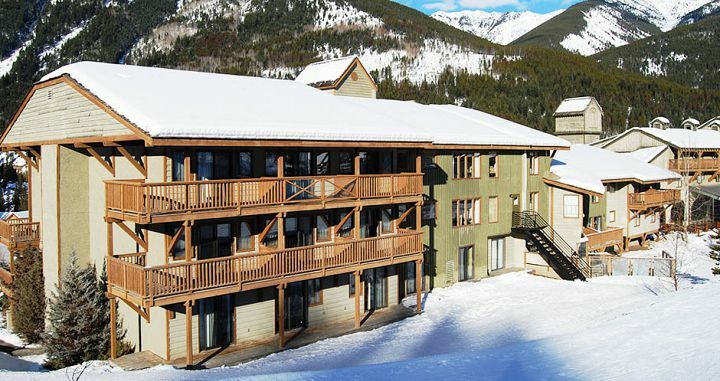 Even the most economic lodging option, Pine Inn, is barely metres from the slopes. Combined with fantastic Early Bird Deals, it is now even more affordable to stay right in the middle of the action at Panorama. There’s more to Panorama than just great skiing. Relax in Canada’s largest slopeside hot pools after a day on the mountain, with free access for all Panorama lodging guests. Kids will enjoy a variety of waterslides and splash pools, whilst adults can unwind in the soothing hot tubs, surrounded by the mountain views. Take advantage of the incredible BC terrain with a heli-skiing experience. RK. 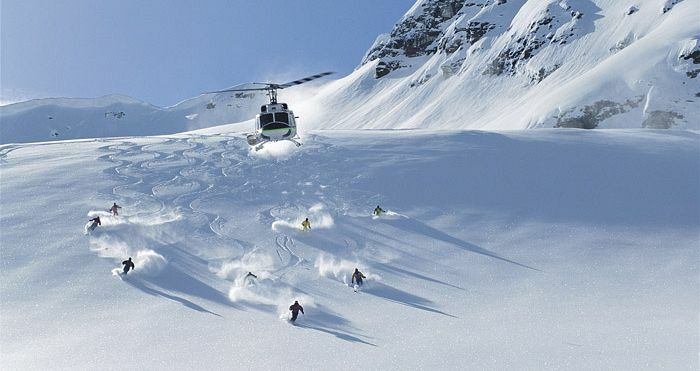 Heliski is Canada’s highest heli-ski operation, and with almost 1500 square kilometres of big mountain terrain, is the perfect opportunity to take your skiing to the next level. For the adventurous, take to the sky with a tandem paragliding session, explore the wilderness on a snowmobile with Toby Creek Adventures, or channel your inner Nordic with over 20km of groomed cross-country skiing and snowshoeing. For more details consult your Scout Field Guide for Panorama, free with any booking. Getting to Panorama is relatively straightforward. Flying to Calgary International Airport is the easiest option, then a transfer (about 3.5 hours drive) to the resort. The drive itself is quite spectacular and the resort provides an almost seamless service for international visitors. A few resort shuttles are available (2 times daily) for those coming from downtown Banff – the drive being just under 2 hours. Day trips are now also available from Banff to Panorama every Tuesday throughout the ski season. The cost is CAD$99 + GST and includes your return transfer and lift ticket - a great option for those skiing the Big 3 in Banff. Being such a compact resort, there is no need for a shuttle service around Panorama. A free open-air gondola provides ease of access between the accommodation and facilities of Lower and Upper Villages, meaning everything you’ll need for your ski vacation is within walking distance. 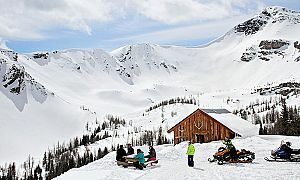 Panorama Mountain Resort operates from early-December through to the start of April. 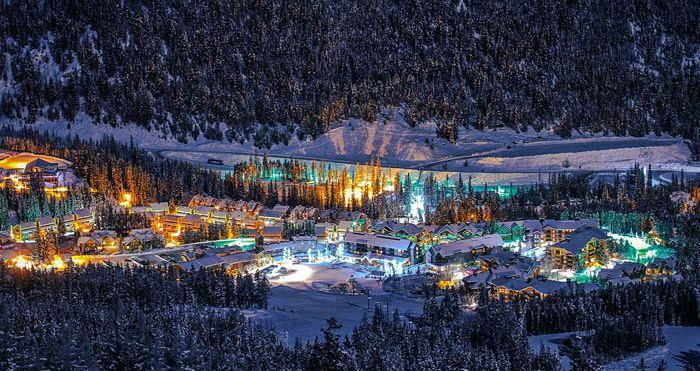 January can be incredibly cold in BC, with the temperature dropping to a chilly -11℃, however the resort receives the majority of its snowfall during this month. On average, February receives less snowfall so expect more bluebird runs, and the odd powder day.